Editor’s Note: Kudos to Pam and everyone else who worked to make the 2015 National Brotherhood of Cyclists Conference such a success! TLC was proud to co-sponsor this exciting and impactful event. 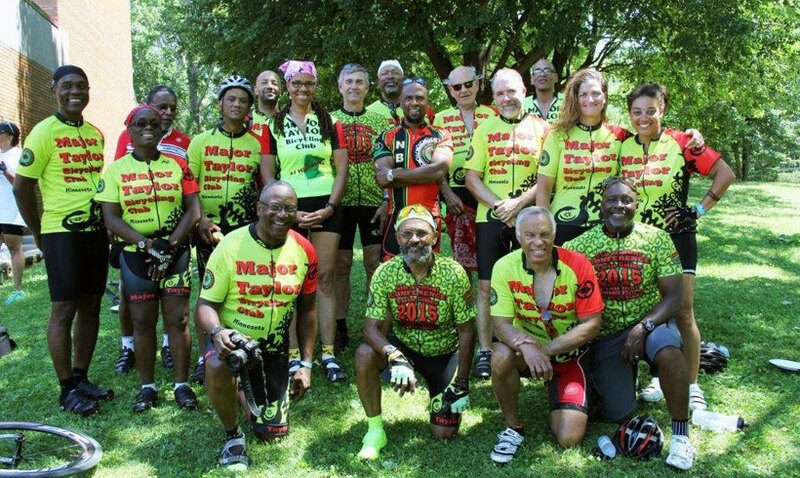 Last month in the Twin Cities, the Major Taylor Bicycling Club of Minnesota hosted the National Brotherhood of Cyclists (NBC) Annual Conference. This year’s theme was “Equity in Motion.” The conference was held on the U of M campus—nicely situated between both cities with easy access to bike lanes, trails, and transit options. The six-day event drew bicycling enthusiasts from around the country to share information and to experience the bicycling infrastructure the Twin Cities is known for. The goal of the conference was to offer attendees the opportunity to interact and connect around 21st-century cycling realities. Regardless of an individual’s view of cycling as transportation, recreation, or as a tool for health improvements or social change, the conference was designed to be inclusive and thought provoking. The features of the 2015 conference went beyond bicycling—connecting the dots to other issues. Interesting topics ranging from health, advocacy, programming, and equity were covered by speakers representing local and national state agencies, nonprofit organizations, colleges and universities, grassroots organizations, bicycling clubs, and advocate groups. Highlights included a kick off from Saint Paul’s Mayor Chris Coleman, an impactful presentation from Minnesota’s Commissioner of Health Dr. Edward Ehlinger, valuable participation from local (Nice Ride) and national bike share representatives, the CEO of Saint Paul Public Schools Michelle Walker Davis, the founders of the Slow Roll movement Jason Hall (Detroit) and Oboi Reed (Chicago), and representatives from the League of American Bicyclists Equity Advisory Council, along with excellent panels featuring dynamic women bicyclists and equity advocates. Additionally, a variety of rides were organized for every type of rider, including a comfortably paced local art tour, a women-only ride, an infrastructure tour, high-paced distance rides, and a family fun ride. 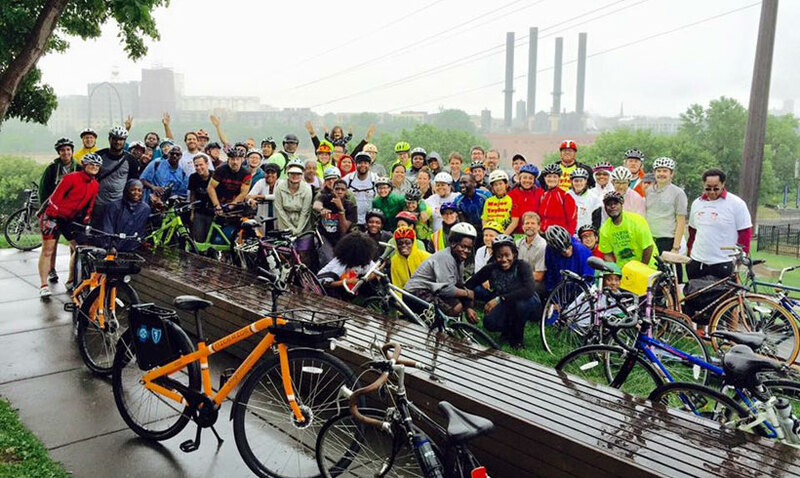 The NBC conference also hosted the inaugural Slow Roll Twin Cities ride. The key takeaway from the 2015 NBC conference stems from the diverse pool of presenters on the local and national level. Unlike many conferences or summits focused on bicycling, attendees had the opportunity to hear from very diverse presenters who shared their expertise in active transportation to reduce health disparities, programing designed to shift mainstream perceptions of “who bikes,” and social change movements with great community impact. A common message throughout the conference was that diversity in bicycling has always existed but the willingness to be inclusive has not. Inclusiveness was demonstrated across the conference with a powerful representation from who presented, who attended, and who rode. My sense is that attendees returned home with an outstanding perception of the Twin Cities, an expanded lens on equity, a more inclusive view of the bicycling community, increased knowledge of community-based bicycling programming, and the ease and experience of quality biking infrastructure, accessible bike share, and reliable transit options. The NBC conference was a great success due to the tremendous support from the bicycling community. In addition to Transit for Livable Communities, the gold, silver, and bronze level sponsors for the conference included Alta, Blue Cross Blue Shield, Dero, Kind Bars, Momentum Magazine, Northpoint Health and Wellness, People for Bikes, Quality Bike Parts, SRAM, and Surly. Additional support was also provided by Peace Coffee, Nice Ride MN, Bicycle Alliance of Minnesota, the Minneapolis Bicycle Coalition, and UMN Parking and Transportation Services. Thanks to all! Featured photos courtesy of Major Taylor Bicycling Club of Minnesota.